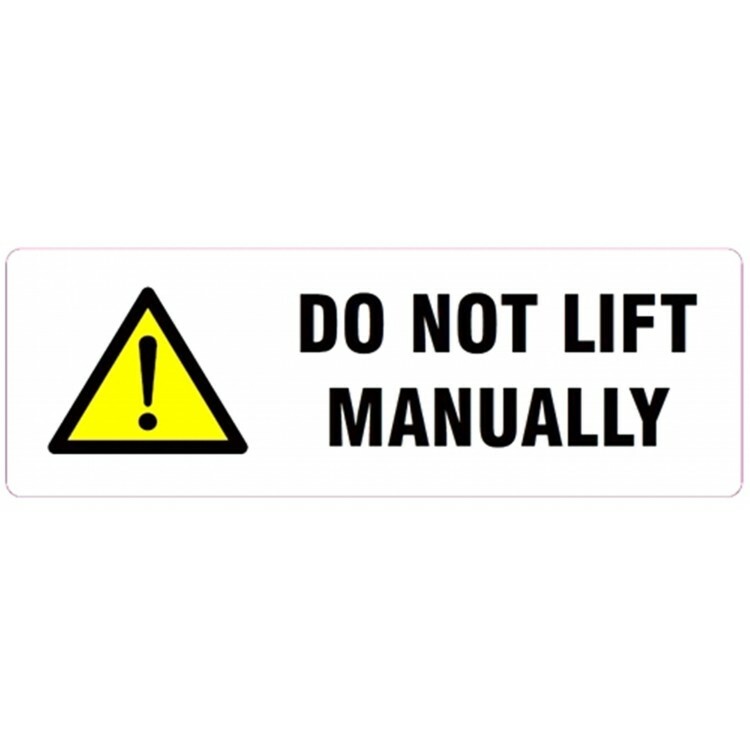 Colour/Symbol: DO NOT LIFT MANUALLY with warning symbol - black and yellow on white. Technical Specification: Labels manufactured from high quality paper with a permanent adhesive. Labels are supplied on a paper backing for easy removal. Dimensions: 148 x 50mm each label.